CONYERS (September 20, 2017) — Keeping accurate records for thousands of students in a district is a constant challenge for any school system. In Fayette County, Georgia, student information systems (SIS) and learning management systems (LMS) specialists quadrupled their productivity using Incident IQ to effectively manage reporting and resolution of Blackboard and Infinite Campus help requests. Incident IQ, from Lexicon K-12 Solutions, is the cloud-based help desk platform built for K-12 school systems that’s efficient for teachers, powerful for support teams and provides rich, relevant analytics for leaders. Districts of all sizes benefit from Incident IQ’s unification of help requests, asset management, user data, and knowledge sharing. Incident IQ’s desktop and mobile applications efficiently handle support workflows for hardware devices, software, online systems, and facilities management work requests. In the past, Fayette’s systems for help desk ticketing were cumbersome — linear forms with few customization options and poor search capabilities often led to support staff “spending a disproportionate amount of time just getting to the root of each submitted issue,” Dillie said. Incident IQ’s integration with SIS and LMS platforms via the IMS Global OneRoster standard streamlines efficient sharing of required support data and provides readily tailorable support ticket workflows. These features allowed Fayette staff members to create Infinite Campus and Blackboard help ticket workflows that empowered support specialists to resolve twice the amount of issues in just half the time it took using past systems. “Our goal is to provide teachers and staff with the tools they need to get problems solved quickly. The faster support issues are resolved, the sooner educators can get back to their primary mission of teaching and facilitating learning,” said R.T. Collins, Vice President and General Manager of Lexicon K-12. Lexicon’s partnership and collaboration with Fayette were key in making these innovations possible. “Lexicon K-12 keeps close relationships with their customers, and they are very responsive when it comes to making enhancements based on feedback we provide,” said Sarah MacDonald, Fayette’s Information Systems Manager. The Fayette County Public School system, located in metro Atlanta, Georgia, comprises 26 traditional schools, one non-traditional high school, an alternative education program, an adult community school and their newest addition, the ‘Center of Innovation.’ Over 20,000 students are currently enrolled in Fayette County Schools. Learn more at https://www.fcboe.org. Incident IQ is a help desk platform and mobile application built for schools to manage support for the hardware, software and online systems K-12 districts rely on to realize the promise of 21st century learning for students. Incident IQ is the only tool available for schools to organize IT help requests and manage assets in one place. Additionally, Incident IQ provides district leaders with rich analytics for improved, data-driven decision making. Using single-sign on, Incident IQ can be accessed from any desktop, laptop or mobile device, and integrates with Student Information Systems (SIS), and Learning Management Systems (LMS) to empower support workflows tailored for those critical systems. 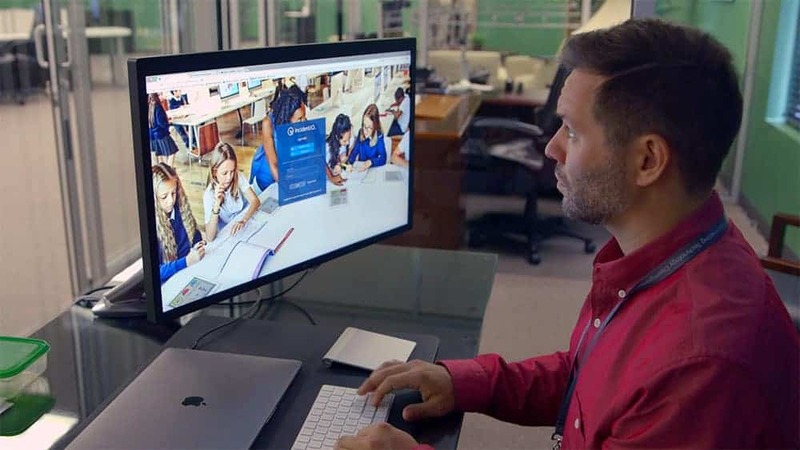 Lexicon K-12 Solutions is transforming how schools successfully manage and support the elements of today’s digitally-powered curricula and instructional spaces. Our solutions share a common goal: we’ve designed and built them to eliminate Technology Disempowerment, our name for the negative impacts on teaching and learning that occur when teachers or students have to forfeit the promise and benefits of properly supported 21st learning programs. Click to download these images for media use. LEXICON TECHNOLOGIES, the stylized LEXICON logo, LEXICON K-12 SOLUTIONS, INCIDENT IQ and the stylized INCIDENT IQ logo are trademarks or registered trademarks of Lexicon Technologies, Inc. All other trademarks are the property of their respective owners. ©2017 Lexicon Technologies, Inc. All rights reserved.